Industry analysis is a market assessment tool used by businesses and analysts to understand the competitive dynamics of an industry. It helps them get a sense of what is happening in an industry, i.e., demand-supply statisticsLaw of SupplyThe law of supply is a principle in economics that an increase in the price of goods sold will have a corresponding direct increase in supply by producers, degree of competition within the industry, state of competitionNatural MonopolyA natural monopoly is a market where a single seller can provide the output because of its size. A natural monopolist can produce the entire output for the of the industry with other emerging industries, future prospects of the industry taking into account technological changes, credit system within the industry, and the influence of external factorsSystemic RiskSystemic risk can be defined as the risk associated with the collapse or failure of a company, industry, financial institution or an entire economy. It is the risk of a major failure of a financial system, whereby a crisis occurs when providers of capital lose trust in the users of capital on the industry. Industry analysis, for an entrepreneur or a company, is a method that helps it to understand its position relative to other participants in the industry. It helps them to identify both the opportunities and threats coming their way and gives them a strong idea of the present and future scenario of the industry. The key to surviving in this ever-changing business environment is to understand the differences between yourself and your competitors in the industry and using it to your full advantage. Learn more in CFI’s Corporate & Business Strategy Course. According to Porter, analysis of the five forces gives an accurate impression of the industry and makes analysis easier. In our Corporate & Business Strategy course, we cover these five forces and an additional force — power of complementary good/service providers. The above image comes from a section of CFI’s Corporate & Business Strategy Course. The number of participants in the industry and their respective market shares are a direct representation of the competitiveness of the industry. These are directly affected by all the factors mentioned above. Lack of differentiation in products tends to add to the intensity of competition. High exit costs like high fixed assets, government restrictions, labor unions, etc. also make the competitors fight the battle a little harder. This indicates the ease with which new firms can enter the market of a particular industry. If it is easy to enter an industry, companies face the constant risk of new competitors. If the entry is difficult, whichever company enjoys little competitive advantageCompetitive AdvantageA competitive advantage is an attribute that allows a company to outperform its competitors. Competitive advantages allow a company to achieve reaps the benefits for a longer period. Also, under difficult entry circumstances, companies face a constant set of competitors. This refers to the bargaining power of suppliersBargaining Power of SuppliersThe Bargaining Power of Suppliers, one of the forces in Porter’s Five Forces Industry Analysis Framework, is the mirror image of the bargaining power of buyers and refers to the pressure suppliers can put on companies by raising their prices, lowering their quality, or reducing the availability of their products. 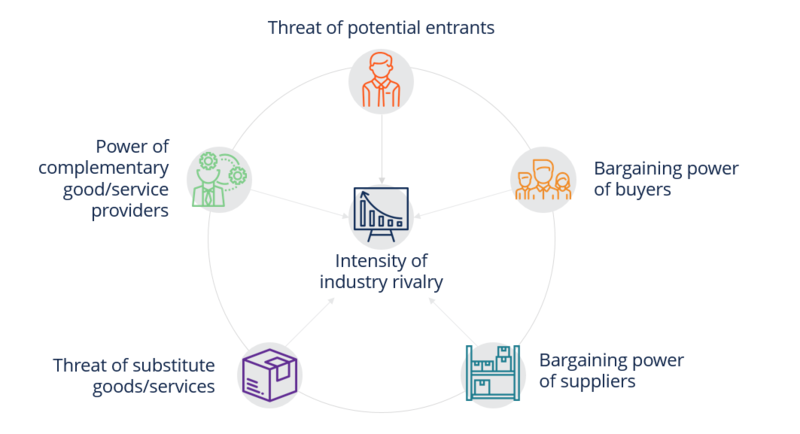 If the industry relies on a small number of suppliers, they enjoy a considerable amount of bargaining power. This can affect small businesses because it directly influences the quality and the price of the final product. The complete opposite happens when the bargaining power lies with the customers. If consumers/buyers enjoy market power, they are in a position to negotiate lower prices, better quality or additional services and discounts. This is the case in an industry with more competitors but a single buyer constituting a large share of the industry’s sales. The industry is always competing with another industry in producing a similar substitute product. Hence, all firms in an industry have potential competitors from other industries. This takes a toll on their profitability because they are unable to charge exorbitant prices. Substitutes can take two forms – products with the same function/quality but lesser price or products of the same price but of better quality or providing more utility. 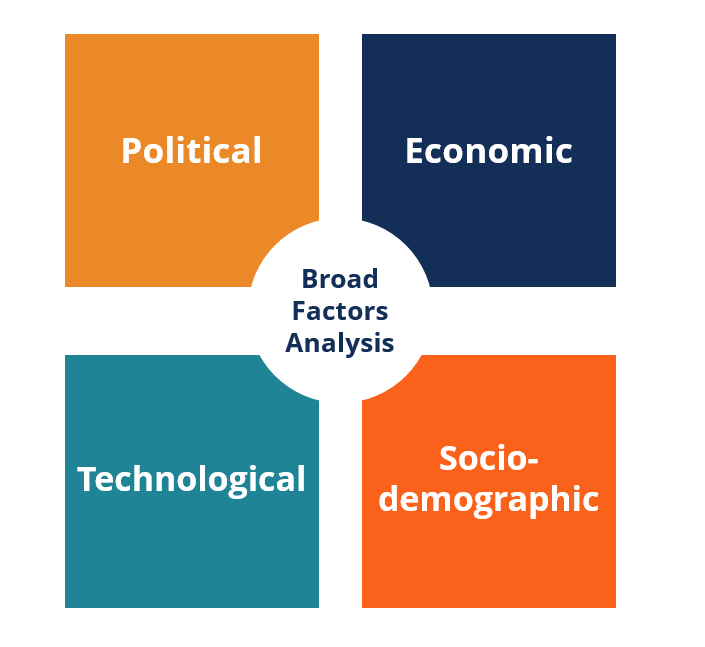 Broad Factors AnalysisBroad Factors AnalysisBroad Factors Analysis, commonly called the PEST Analysis, is a key component of external analysis. A Broad Factors Analysis assesses and summarizes the fou, also commonly called the PEST Analysis stands for Political, Economic, Social and Technological. PEST analysis is a useful framework for analyzing the external environment. Political factors that impact an industry include specific policies and regulations related to things like taxes, environmental regulation, tariffs, trade policies, labor laws, ease of doing business, and the overall political stability. The economic forces that have an impact include inflation, exchange rates (FX), interest rates, GDP growth rates, conditions in the capital markets (ability to access capital) etc. The social impact on an industry refers to trends among people and includes things such as population growth, demographics (age, gender, etc), and trends in behavior such as health, fashion, and social movements. The technological aspect of PEST analysis incorporates factors such as advancements and developments that change that way business operates and the ways which people live their lives (i.e. advent of the internet). 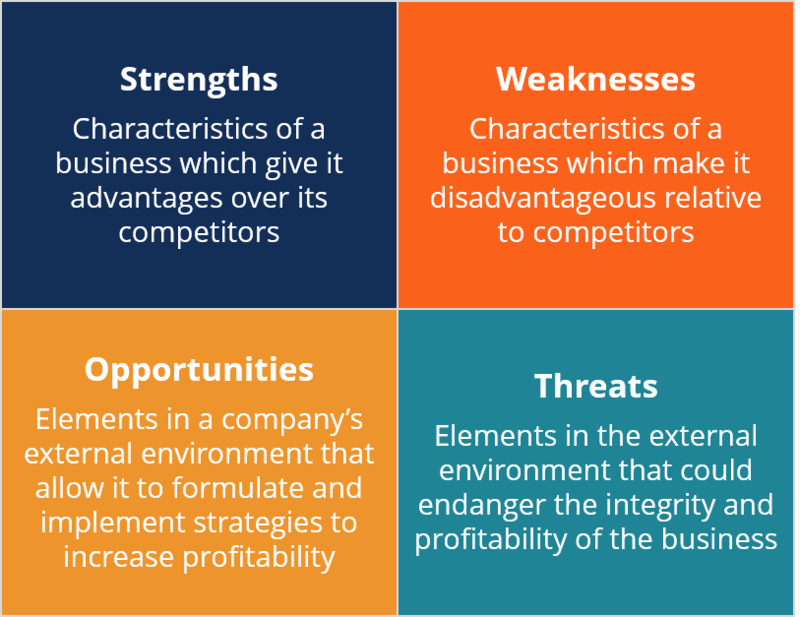 SWOT AnalysisSWOT AnalysisA SWOT analysis is used to study the internal and external environments of a company and is part of a company’s strategic planning process. In addition, a stands for Strengths, Weaknesses, Opportunities, and Threats. It can be a great way of summarizing various industry analysis methods and determining their implications for the business in question. The above image comes from a section of CFI’s Corporate & Business Strategy Course. Check it out to learn more about performing SWOT analysis. Internal factors which already exist and have contributed to the current position and may continue to exist. External factors which are contingent events. Assess their importance based on the likelihood of them happening and their impact on the company. Also, consider whether management has the intention and ability to take advantage of the opportunity/avoid the threat. 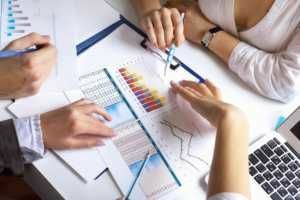 Industry analysis, as a form of market assessment, is crucial because it helps a business understand market conditions. It helps them forecast demand and supply and consequently, financial returns from the business. It indicates the competitiveness of the industry and costs associated with entering and exiting the industry. It is very important when planning a small business. Analysis helps to identify which stage an industry is currently in; whether it is still growing and there is scope to reap benefits, or has it reached its saturation point. With a very detailed study of the industry, entrepreneurs can get a stronghold on the operations of the industry and may discover untapped opportunities. It is also important to understand that industry analysis is a very subjective method and does not always guarantee success. It may happen that incorrect interpretation of data leads entrepreneurs to a wrong path or into making wrong decisions. Hence, it becomes important to understand one’s motive and collect data accordingly. Business LifecycleBusiness CycleA business cycle is a cycle of fluctuations in the gross domestic product (GDP) around its long-term natural growth rate. It explains the expansion, peak, recession, depression, trough, recovery, expansion, and the entire business cycle keeps repeating in this loop. See examples and descriptions of the stages.